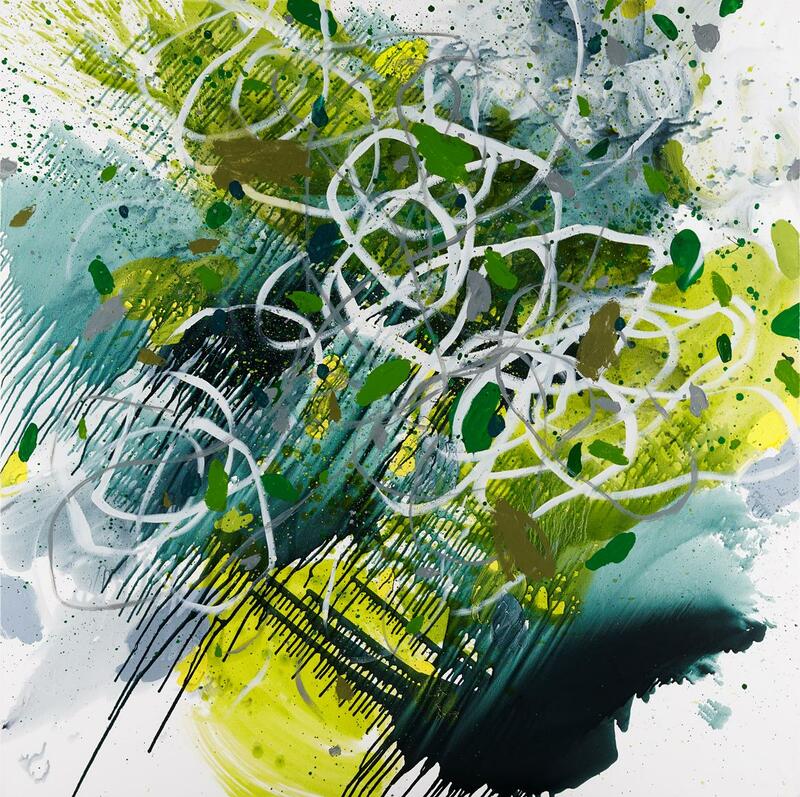 London based artist, Jennifer Morrison, returns to Durban with a series of abstract paintings that are primarily concerned with colour, scale, texture and form. Her exhibition Trajectory opens at the KZNSA Gallery tonight (June 13). Although she has lived in London for over two decades, the colours of South Africa have never left her and remain a central influence in her work. She is interested in weighing accident against deliberation, precision and control against playfulness and abandon. Whether it is a plant or clouds or smudges on a wall, these can all serve as inspiration for Morrison and act as a starting point for a painting. These large works explore the medium of oil paint and seek to rely on the intuition of the artist in the making of the works and on the person who views them. The experience of making the works is based on unconscious filters, values, past experience and knowledge. These paintings raise the issue of the viewer’s expectation of paintings, the need of some to see it perform as a narrative space within which the image and meaning can unfold. Finding meaning is not a primary concern for the artist. The visual impact and experience is paramount. Her paintings are devoid of content or narrative which precludes any single meaning or view. Morrison wants the viewing of her paintings to be a rich experiential encounter. For the artist, painting is about exploring the invented object in front of her. The formal qualities of abstract painting are significant not in themselves but as part of a work’s expressive message. Morrison is interested in the literalness of painting, of comprehending a work in a literal and experiential sense. She sees it as a kind of honesty. It is also about having faith in not knowing, in being confounded, in doubt. Abstract art accepts the permanent uncertainties and pluralities that come with its territory. With painting, as with other things, you’re always losing possibilities by the choices you make. Morrison feels this to be a very exciting thing.